Caitriona with her cat Eddie in the middle, and Sophie on the right. You know you’ve made it when your TV mom says you inspire her. 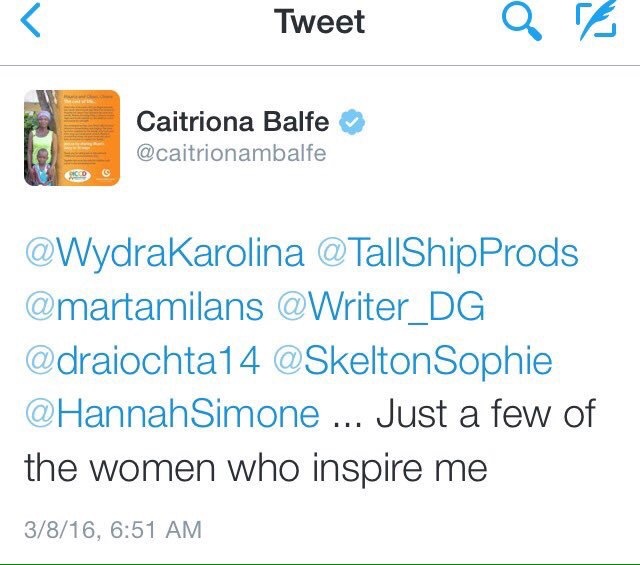 If Caitriona Balfe can say that, Sophie Skelton is probably something special; Caitriona Balfe is the best Claire Beauchamp Randall Fraser I could’ve asked for. I can’t wait to see Sophie Skelton as Brianna Ellen Randall Fraser. Lucky for me, I don’t have to wait much longer. Outlander is back in action April 9.